Voting in parliament may take place on 15 March. 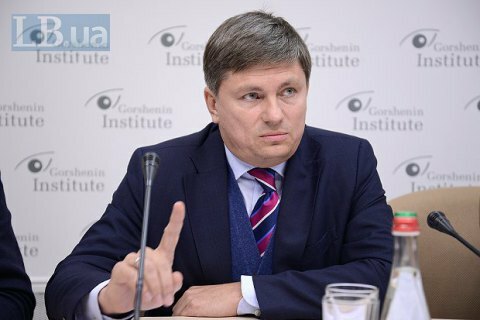 The coalition factions in parliament – the Petro Poroshenko Bloc and the People's Front - have agreed to appoint the head of the National Bank of Ukraine this week, Petro Poroshenko Bloc faction head Artur Herasymov has told LB.ua. "What we care about is to get a new head of the National Bank. [Valeriya] Hontareva is ready to report to parliament from the rostrum. Our entire faction will vote [to approve] her report and the appointment of [Yakiv] Smoliy as head of the National Bank. As far as I know, we have other factions' support. Therefore, I can say that there is a very good chance that we will vote for the dismissal of Hontareva and Smoliy's appointment this week, on Thursday [15 March]," he said. A source in the Petro Poroshenko Bloc leadership told LB.ua that previous disagreements within the coalition concerning appointments had been lifted. "The People's Front's concerns about the appointment of deputy heads of the National Bank and a vote for Smoliy have been unbundled. These issues are no longer connected. Therefore we met the People's Front halfway with regard to the appointment of the ombudsperson and the head of the Audit Chamber. All these issues "in a bundle agreement" will be put to vote on Thursday. The main task now is to ensure that MPs are there to vote for these decisions. That is the most difficult as many various field visits are planned for this plenary week," he added. President Petro Poroshenko sent a motion to dismiss Valeriya Hontareva as head of the National Bank of Ukraine back on 18 January. Parliament has failed to put the issue on the agenda over the lack of votes.